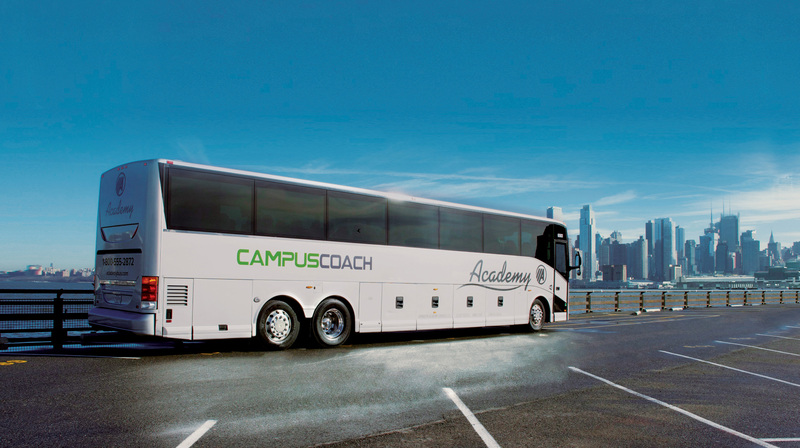 Campus Coach Lines was founded in 1927 on the University of Michigan campus by our patriarch Bert Askwith, who remembers the train was extraordinarily expensive for students to travel back-and-forth from Ann Arbor to New York for vacations and summer break. He hired a local bus company, placed an ad in the student union, hung a sign in the window “Campus Coach Lines” and in effect started one of the country’s first charter-coach businesses. Broadway shows, cruise ships, amusement parks, church outings; wherever your group wants travel! Besides price, there are many factors which go into selecting a charter-coach company for your charter needs. Thank you for a great trip and an excellent driver! We had a wonderful time in D.C. I cannot thank you enough for taking care of this for me. Thank you and it was such a great bus. Thank you so much for making Kara & Rob's wedding so successful ! I want to thank you so much for all that you did to make the March to Washington trip so successful. I know that this was a huge undertaking and you put up with all of our back and forth and indecisiveness. Thank you, Thank you, Thank you!! !